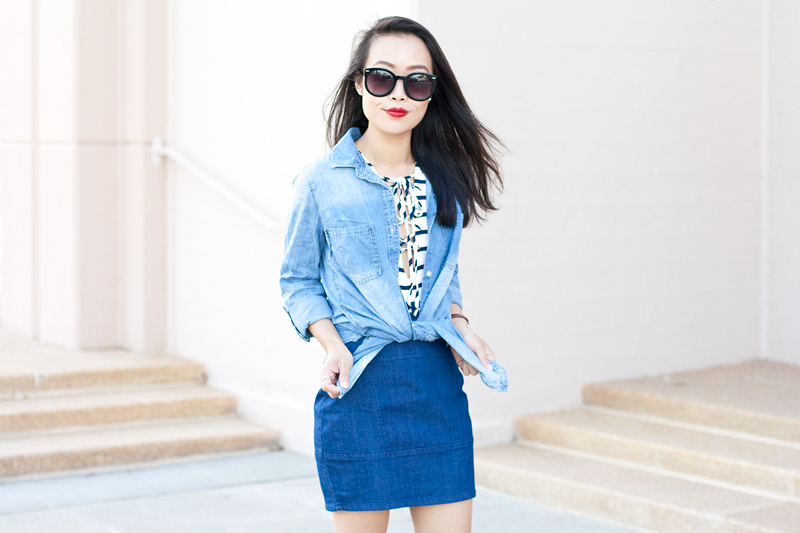 Denim is awesome, obviously. Unlike linen, it doesn't wrinkle up with every move. Unlike silk, it doesn't get snagged easily. Denim is multi-functional, low-maintenance, and most importantly it always makes you look good (well unless you purposefully try to look bad). My denim on denim look here is perfect for different occasions... weekend getaway, back to school, or transitioning from Summer to Fall. This gorgeous striped top with laced up details looks great with a denim bodycon skirt. 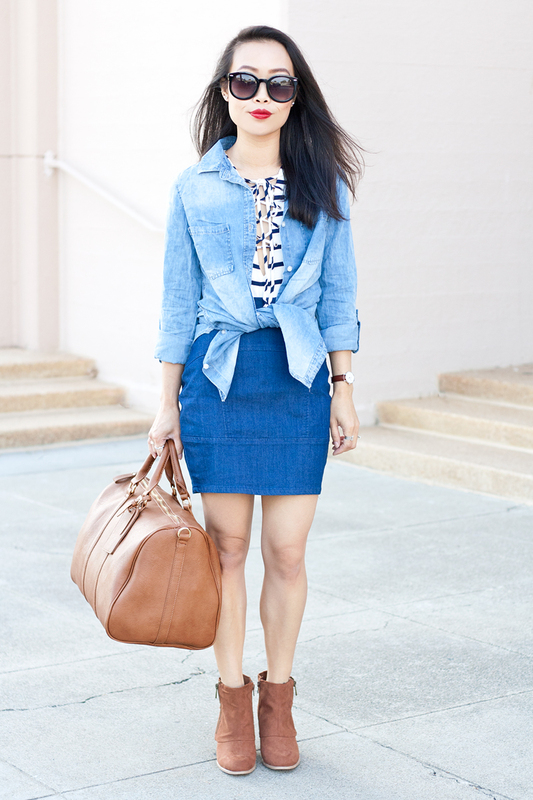 Throw a chambray tunic over it or tie it around the waist, it looks amazing either way! All in all... denim conquers all! 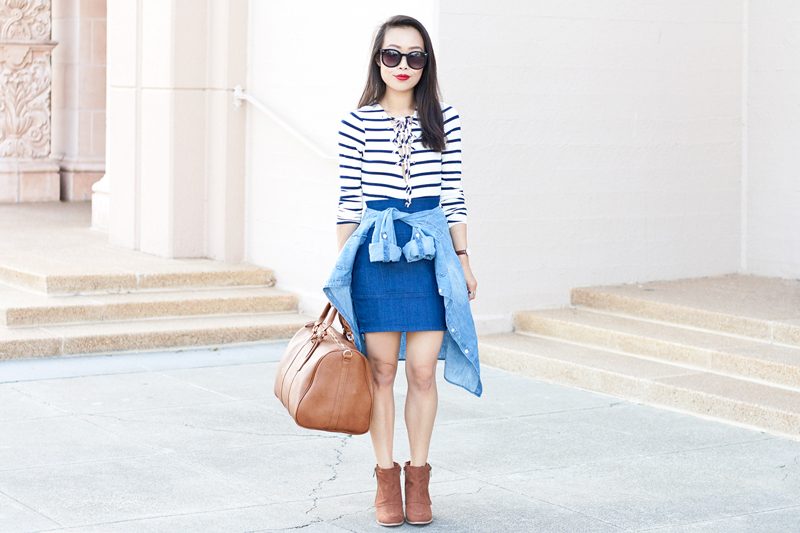 Stripes laced up top c/o Charlotte Russe. 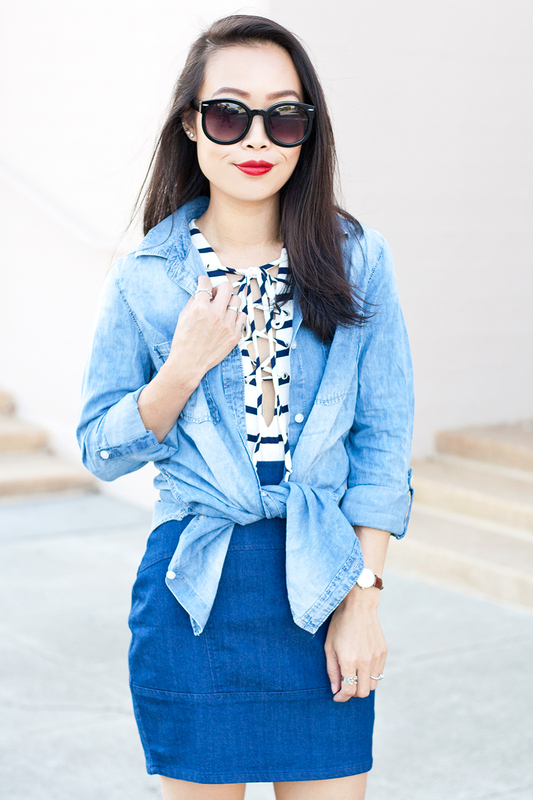 Chambray tunic top (sold out but similar here, here and here) c/o Charlotte Russe. 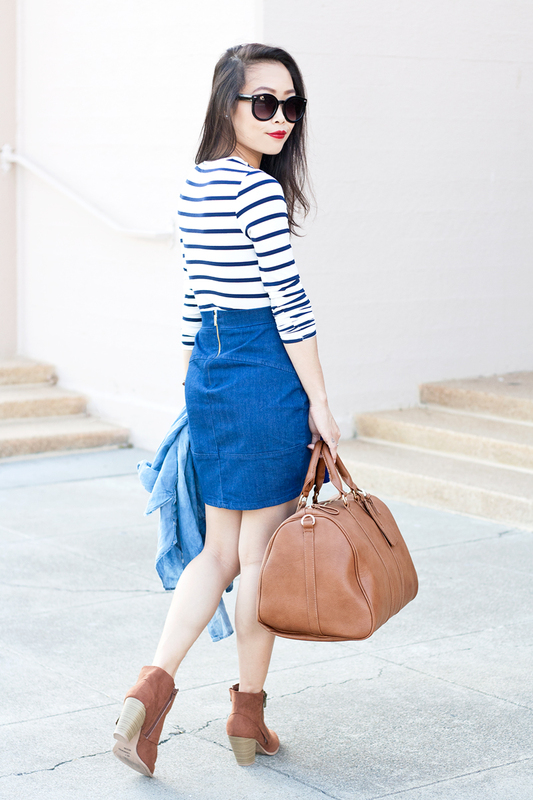 Denim bodycon skirt c/o Charlotte Russe. 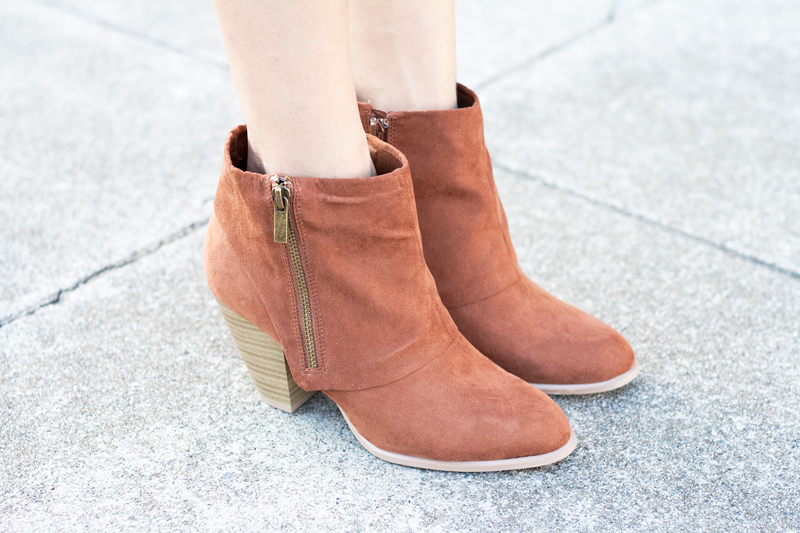 Cuffed suede booties c/o Charlotte Russe. 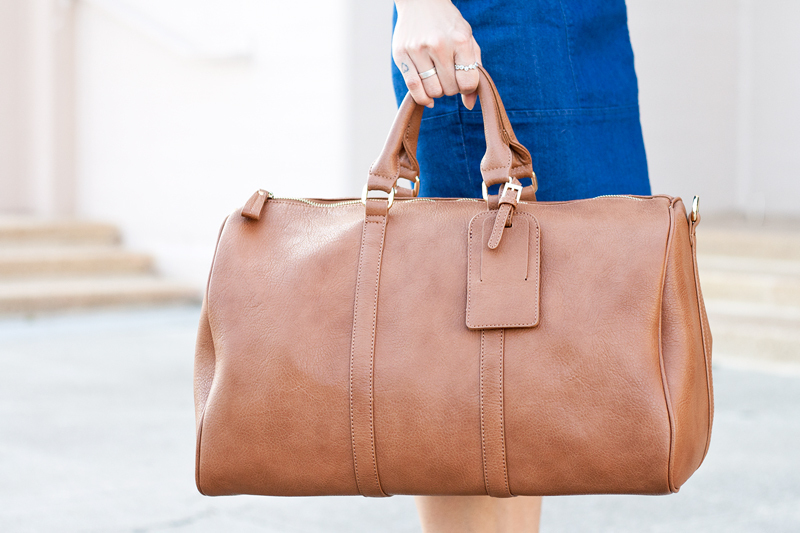 Weekender duffle bag c/o Sole Society. Classy St Mawes leather watch c/o Daniel Wellington. I adore your looks girl! Keep up the great work. Nice outfit! I really like the shirt.